Each box contains 6 decks. Each deck contains 50 cards. Key that hides the forces of dreams. I bid you to show me your true form. Release! 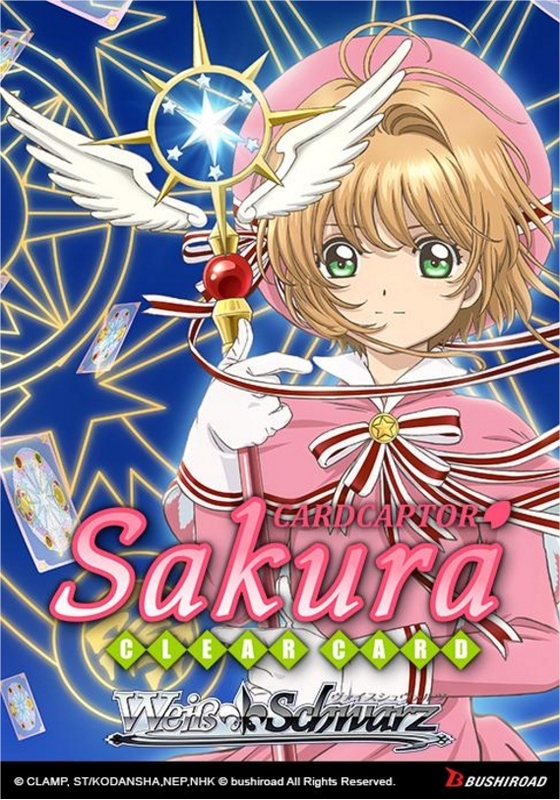 Sakura steps into a new middle school, and onto a brand new stage in the Weiss Schwarz: Cardcaptor Sakura: Clear Card set. Featuring scenes from the first two episodes of the anime, this Trial Deck+ is perfect for learning the basics of the game. Sakura, Tomoyo, Kero, and Syaoran are all included in this trial deck. Each Trial Deck+ box includes 6 decks. Every deck includes 50 cards, a rules sheet, a playmat, and a deck manual. Every deck includes 2 shiny cards. 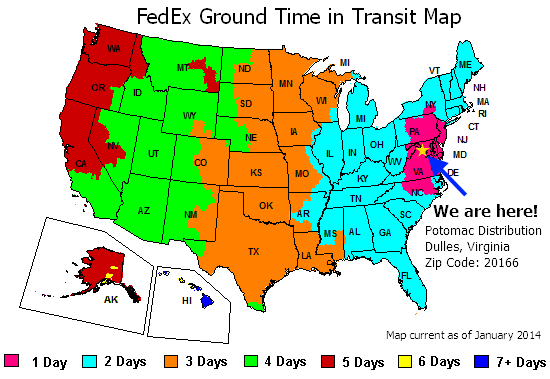 Parallel cards are randomly inserted in decks. Look for randomly inserted cards signed by Sakura Tange (as Sakura) as well as special embossed RRR cards (3 possible cards). 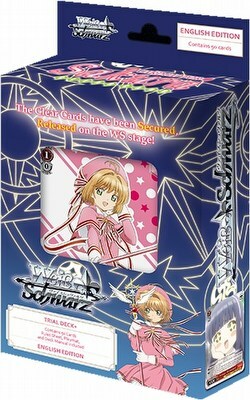 The cards in this Trial Deck+ may be used together with cards with numbers beginning with CCS/. There are 20 different cards found in trial decks plus 6 possible parallels.